Inspired by the quintessential Beverly Hills lifestyle, DAMAC Properties brings the finest elements of this iconic destination to Dubai at DAMAC Hills. Spanning 42 million square feet, the development is home to a variety of incredible properties with an array of amenities that will satisfy the most discerning of tastes. Come home to a new concept of luxury living. These serviced and furnished villas offer you the comfort and warmth of home, with the bespoke services of the world’s finest hotels. Choose from villas overlooking the international golf course, or with vistas across lush parkland, in stylish neighbourhoods of like-minded individuals. When you step into these furnished villas, you’ll be greeted by interiors that exude an aura of elegance and sophistication. Every detail and each piece of furniture has been finely crafted, and selected to suit your needs. The 90210 Boutique Villas are furnished and come with an array of tailor-made services to help you get the most from life. How about some private training from a PGA certified coach; or a variety of concierge services – whatever it is you’d like, just ask. Just a short journey from the centre of the city, and yet feels like a world away. 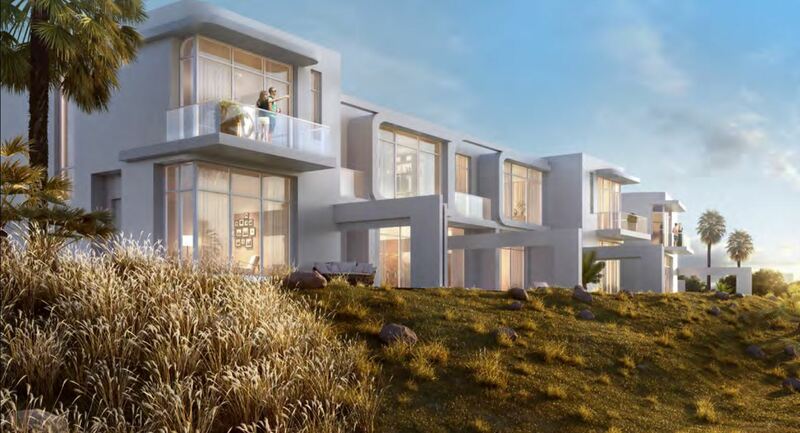 DAMAC Hills is set within the city’s flourishing and most sought-after expanses of Dubailand. Its strategic location allows easy access to the main road network that puts the city within a few minutes’ reach. DAMAC Hills is the most luxurious golfing community, with the Trump International Golf Club Dubai at its heart. The course is designed by Gil Hanse, architect of the 2016 Olympic Games golf course in Rio de Janeiro and one of the most sought-after names in the game.